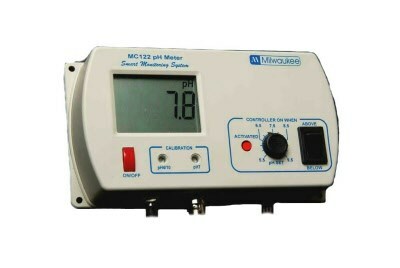 Professional pH controller especially designed for use with hydroponic systems and aquariums. Range: 0.0 to 14.0, 2 point manual calibration and Accuracy: 0.2 pH. Set Point Range: 5.5 to 9.5 pH, LED visual alarm active & power plug socket for dosing turned on when reading is higher or lower (user select) than the set point. 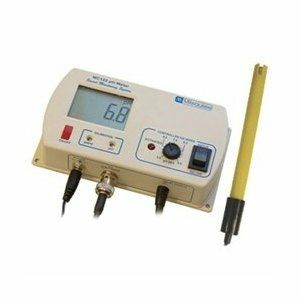 Supplied with 12V DC power adapter, MA911B/2 double junction pH probe, 20 ml pH 7.01 calibration solution and screwdriver for calibration. Unit comes with mounting kit and probe holder.